Patents – urgency requirement: Two recent first instance decisions provide a different take on the requirement of urgency in preliminary injunction proceedings (kort geding). A Belgian action for a preliminary injunction in intellectual property matters requires that the claimant is in a situation of urgency, meaning that the infringement causes substantial harm that cannot timely be prevented by other legal action. The requirement also implies that the claimant takes action as soon as he becomes aware of the (threat of) infringement. The marketing of a reimbursed pharmaceutical product in Belgium requires inter alia a market authorisation and a decision awarding reimbursement status. Because reimbursement status implies a legal obligation to make the product available on the market, this is generally considered the trigger moment for a patentee to take action. However, on 5 July 2017, the President of the Brussels commercial court rejected an action for a preliminary injunction by Gilead Sciences to prevent Krka from launching a generic version of Truvada®, a combination product used for HIV therapy. The court held that Gilead was aware of the threat of infringement since the marketing authorisation and that it should not have waited until Krka sought reimbursement status. The court also referred to procedural alternatives to find that the requirement of urgency was not or no longer met. We understand that an appeal has been filed. In a decision of 28 September 2017 issued by the same jurisdiction, a preliminary injunction was imposed on Mylan, another manufacturer expected to launch a generic version of Truvada®. Here, in a case in relation to the same SPC, the court accepted that Gilead had acted diligently by taking action immediately after it became aware of Mylan’s request for reimbursement. Although the two decisions were taken by different individual judges, the contradiction is regrettable. Preliminary injunction proceedings are an important strategic tool in the pharmaceutical sector. Clarity on the subject is needed both for originators and generic manufacturers. Domain names – Oki Data and cornering the market – In a recent CEPANI .be domain name arbitration decision, the Third-Party decider dismissed a complaint by Italian coffee company Lavazza to obtain the transfer of seven domain names comprising the term Lavazza, including www.lavazza.be. The domain name holder was originally a sub-distributor of Lavazza in Belgium and it sources some products directly from Lavazza. Notice of termination was given during the arbitration proceedings, effective 1 January 2018. One of the requirements to obtain the transfer of a domain name under the DNS.be terms and conditions is that the domain name holder has no right or legitimate interest in the domain name. For resellers of branded products, this criterion is usually dealt with under the Oki Data-criteria, taken from a UDRP decision issued in 2001. One of the Oki Data criteria is that the domain name holder must not try to corner the market in domain names. Later UDRP decisions also support the view that it is generally difficult for a reseller to establish rights in a domain name that is identical to the complainant’s trade mark. The domain name holder in this case held at least 13 domain names comprising the Lavazza mark, including Lavazza.be. In result, the Third-Party decider acknowledges that this criterion was not favourable for the domain name holder. However, he concludes that the domain name holder has “at least some legitimate interest” because it has used the domains for over 15 years, Lavazza had never objected to that use even though it was aware of it, and the termination of the distribution agreement was not yet effective. Trade marks – individual marks, quality labels and genuine use: In its judgment of 8 June 2017 in case C-689/15, the CJEU rules that the use of an individual mark as a quality label does not qualify as genuine use if it does not also guarantee that those goods come from a single undertaking controlling the manufacture and quality of the goods. 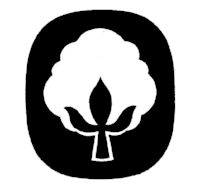 A German cotton association registered the sign depicted below as an individual trade mark. It then set up a licensing structure where its licensees-members commit to adhere to quality standards. An accused infringer argued that this does not qualify as genuine use of the trade mark. The Court explains that the essential function of an individual mark is to guarantee that all the goods or services bearing it have been manufactured or supplied under the control of a single undertaking which is responsible for their quality. According to the Court, affixing an individual trade mark as a label of quality is not genuine use if it does not guarantee, additionally and simultaneously, that those goods come from a single undertaking controlling the manufacture and quality of the goods. The provisions for collective and certification marks cannot be applied mutatis mutandis to individual marks. This decision signals that trade mark owners and their advisors should tread carefully when an individual mark is used as a certification or collective mark in practice. Copyright – heraldic arms: In a judgment of 19 June 2017, the Brussels commercial court ordered Zara Home Belgium to pay damages for copyright infringement to the creator of a wood carving which was copied in a scented candle. In the same decision, the court rejected the claim of a member of the Odink family based on copyright in a 2012 modernization of his family’s original family crest, which dates back to the 18th century. The court held that the modifications made to the original did not reflect the author’s free and creative choices, but rather current heraldic norms. As a surprising obiter dictum, the court added that copyright in a family crest for one family member would run counter to the purpose of a family crest because it would enable the copyright holder to stop family members to use it for identification. Perhaps more surprising is the court’s subsequent finding that the (commissioned) wood carving differs in sufficient details from the family crest, making it an original work enjoying copyright. From left to right: 18th century coat of arms, 2012 modernization, commissioned wood carving, Zara scented candle. Patents – Constitutional Court on process v. product claims: In a judgment issued on 28 September 2017, the Constitutional Court decided that a difference in treatment between process and product patent claims is objectively justified. A process claim confers the right to prevent third parties to offer the patented process for use in Belgium, if and to the extent that the use is within Belgian territory. In contrast, an infringing offer of a patented product does not include restrictions on whether the offered product is then used in Belgium. The patentee argued that the additional requirement for process patents amounts to discrimination in violation of Articles 10 and 11 of the Belgian Constitution. The matter was referred for a preliminary ruling to the Constitutional Court. It held that the difference in treatment was a result of political compromise negotiated in the framework of the Luxembourg Agreement on the Community Patent. The difference in treatment is based on an objective criterion and the double territorial requirement for process patents does not, according to the Court, disproportionally affect the patentee’s rights.